Rapidly growing population and significantly increase in the treatment rate of degenerative spine disorders are the key factors driving demand in the global spinal implants market. Changing the lifestyle that led to the growth of obesity among the masses has further augmented growth for spinal implants. Increasing spine injuries due to increasing sports activities and other reasons are also benefitting growth in this market. Moreover, the rising preference for minimally invasive diseases is also expected to boost demand for spinal implants. The key categories in the global spinal implants market are likely to include procedure, material, and products. Based on the product type, the market is expected to be segmented into spinal fusion devices, vertebral Compression Fracture (VCF) treatment devices, spine biologics, non-fusion devices/motion preservation devices, spinal bone stimulators, and others. These segments are further segmented to gain a clearer insight into this market. In terms of procedure, the market is expected to be divided into minimally invasive surgery (MIS), open surgery, and others. 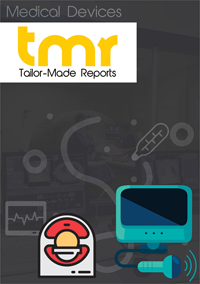 The report on the global spinal implants market is highly insightful and provides complete knowledge about the market to the key stakeholders. The information presented is gathered from various reliable sources and is been validated by using different statistical tools. Moreover, information in this report also helps the players to take better and well-informed decisions for their growth in the coming years. Development of new techniques to treat spinal injuries is the key growth potential in the global spinal implants market. Recently, Nexxt Spine developed 3D printed bone healing spinal implants. MTS Systems Corporation, a supplier of testing systems and simulations assisted Nexxt Spine in developing 3D spinal implants. Another example is of RTI Surgical that has recently deployed Fortilink Interbody Fusion (IBF) 3D printed implants. They are planning to test efficacy and safety of these plants on Degenerative Disc Disease (DDD) patients. Development of new and effective technologies in spine care is likely to create a huge growth opportunity in the global spinal implants market. These developments are taking place because of 17,000 new cases of spinal cord injuries in the United States. The National Spinal Cord Injury Statistical Center presented this figure in 2016. Additionally, the data presented by the American Chiropractic Association shows that people suffering from lower back pain is nearly 31 million in the U.S. each year billions of money is spent on back pain treatment. Thus, with the growing spinal issues, the growth in the global spinal implants market is likely to increase significantly in the coming years. On the regional front, developed economies in North America are projected to hold a higher share in the global spinal implants market. The increasing use of nanotechnology in the pharmaceutical sector, advancement in the manufacturing process, and technological innovation are the major factors fuel growth of spinal implants in North America. On the other hand, Asia Pacific is also projected to contribute to the growth of this market in the coming years. Increasing investment in healthcare infrastructure and growing support of developing and advancing healthcare are likely to fuel growth in the global spinal implants market. The report gives crucial information about the key players in the global spinal implants market. Information about the key strategies, market shareholding, future strategies, and similar other insights are presented in the report. Some of the key companies in the global spinal implants market are Orthofix International N.V., Alphatec Holdings, Inc., K2M Group Holdings, Inc., America Corporation, Exactech Inc., RTI Surgical, Inc., Alliance Spine, Integra LifeSciences, LDR Holding Corporation, AESCULAP, Apollo Spine, Quandary Medical LLC, Premia Spine, Ascendx Spine, Back 2 Basics Spine, and A-Spine.